book places African-American history in the context and at the center of American History.Balancing accounts of the actions of African-American leaders with investigations of the lives of the ordinary men and women in black communities, exciting and readable coverage includes: African-American history from its African origins to the sixteenth century and the beginning of the forced migration of millions of Africans to the Americas. Succeeding chapters present the struggle of black people to maintain their humanity during the slave trade and as slaves in North America during the long colonial period. 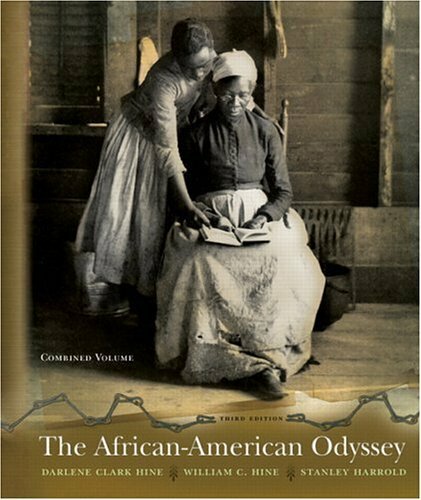 It continues through the Civil War and the beginning of Reconstruction, and continues through the Civil Rights movement to discussions of black life at the dawn of the 21 st century.This is a compelling story of survival, struggle, and triumph over adversity. Readers will learn an appreciation of the central place of black people and black culture in this country, and a better understanding of both African-American and American history. 1890-1950; and Speak Truth to Power: The Black Professional Class in United States History. Stanley Harrold is professor of history at South Carolina State University.